Relate Bracelets has raised over R33m in the 12 years since its inception for various causes using a simple handmade object. 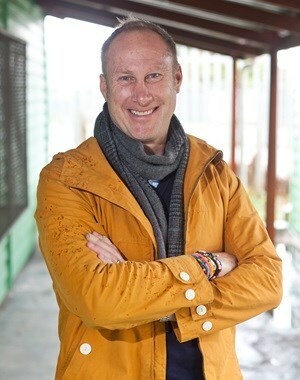 We interviewed Neil Robinson, CEO of Relate Bracelets, to find out how the social enterprise's model works and contributes to skills development in South Africa. Give us a brief history of Relate and its founders – who are the brains behind Relate. Relate Bracelets was founded by Lauren Gillis in 2004. The initial idea Lauren had in mind was to create a vehicle through which to help build women’s self-esteem and confidence. Then, inspired by the Livestrong band, and how it connected people both to a cause and each other, she shifted her focus to alleviating poverty in Cape Town using a simple handmade object we now know as the Relate Bracelet. A simple and powerful vehicle to provide opportunities to the ‘have nots’ and to bridge that massive divide between the ‘haves’ and the rest in South Africa. In 2008 Relate produced its first bracelet for Nandos as part of their 21st birthday celebrations. It was the start of a powerful partnership and an inspiring journey. The Relate Bracelets model and concept was further developed when we became a trust in 2010. Since then we have raised R33m and sold over 2-million bracelets in support of more than 80 worthwhile causes in health, education, conservation, social upliftment, children, and empowerment. Walk us through the concept. Relate Bracelets are made to our unique social enterprise model that, as we like to say, is “100% for good”. Our commitment to sustainability and transparency is represented by a signature “R” bead found on every one of our bracelets. This “R” bead is a promise that through every stage of manufacture and sale, opportunities have been created to change lives, and that there is utmost transparency and accountability in how funds from the sale of each bracelet have been spent. At its core, Relate partners with a given cause to design a bespoke bracelet in support of that cause. We then also partner with a retail partner, for instance Woolworths or a Cape Union Mart, where these bracelets are sold. However, that relationship can also work the other way round. The retail partners sometimes come to us with a particular cause they want to support. We then work with them to create the bracelet that will be sold across their stores. We also work across the corporate spectrum, developing many different concepts that bridge CSI corporate marketing spend and a chosen beneficiary. Our bracelets are beaded by senior ladies (gogos) and gents (tatas) across the Ikamva Labantu centres in the Western Cape townships. We operate across 19 different seniors clubs and help support approximately 400 seniors every week. Many of these care for their grandchildren and others orphaned by HIV/Aids, and so the beading helps to supplement their pensions and their livelihoods. Additionally, Relate’s younger staff members, who close and pack the bracelets, benefit through many different skills development initiatives offered through our unique ‘third model’. So it’s a system that benefits people at all stages of the process. How do you ensure the business model is a sustainable one? While we are 100% not-for-profit, we run Relate like a “for profit” venture. By never relying on donations or handouts, we put ourselves through the rigours and tests all other businesses have to pass to succeed. We essentially engage the end-consumer through our retail partners, allowing lots of consumers to make a small difference. Our philosophy is very much aligned to ‘lots of little makes BIG impacts’. Tell us about some of the enterprise development projects and skills development programs that have been initiated so far. In as much as raising funds for our beneficiary causes is extremely important to the work we do as Relate Bracelets, I can’t say it’s more important than our involvement in enterprise development. Even if the term itself wasn’t used, enterprise development was baked into the DNA of Relate Bracelets from the very beginning. Lauren’s initial idea to use Relate as a vehicle to build women’s self-esteem and confidence is very much in keeping with our enterprise and skills development work. Today this ethos is seen in our skills development programme. For instance, one of our “youth of Relate,” the team that closes the beaded threads done by our senior citizens at Ikamva Labantu, is on the verge of finishing her studies at UNISA to be a social worker. We’ve also been privileged to have donated three vehicles to some fantastic black-based South African businesses, helping them grow and provide more employment opportunities for others. Our enterprise development initiative was essentially established to assist disadvantaged fledgling organisations to grow to their potential, in turn creating economic and growth opportunities for others. These investments also nurture and develop future entrepreneurs. In SA, there is no shortage of causes, but has it been difficult getting buy-in from business? The problem isn’t necessarily that there are too many causes and not enough money to go around. The issue, more than anything, is transparency and sustainability. How is a business’ CSI being invested? Where is it being invested? Is it achieving a return for social good? How are you measuring efficacy? Is the project your CSI is being invested in sustainable? Those are the questions that business want answers to, which unfortunately too many non-profits struggle to answer. This isn’t necessarily because they’re corrupt or mismanaging funds. Rather, it’s a result of the fact that the traditional non-profit model isn’t geared to answering those questions. We believe our social enterprise model makes it simple for us to build impact for our partners and therefore get long-term buy-in from major corporates like Woolworths, Nandos, Cape Union Mart, or the Spur Group to name a few. Our partnership with Nandos has been developed from day one and we’ve recently developed our second campaign into Australia. We’re looking to grow into other markets across the globe through this partnership. How are Relate Bracelets marketed to consumers? Beyond in-store visibility at our retail partners, our packs of bracelets are prominently placed at the tills in retail stores, high footfall areas in other stores and at reception desks at various hospitality partners like Protea Hotels. The only “marketing” we do is through the work of our PR agency who is able to tie up some fantastic media partnerships, as well as select celebrity testimonials and endorsements. What has been the most successful cause to date in terms of number of bracelets sold? Our partnership with Goodbye Malaria has seen us raise close to R9m through the sale of just short of a million bracelets. From our first bracelet sold as part of the 2010 FIFA World Cup in South Africa to various campaigns across the world which has seen us work with Bono’s ONE Foundation and the Global Fund, we are determined to help eradicate malaria across Africa. The “R” bead of authenticity is mentioned quite frequently on the Relate website. Is there a reason for this – perhaps a similarly run enterprise that is not as transparent or accountable? Unfortunately, this sector is quite open to those who would be willing to prey on the good hearts and aims of the public. A simple Google search will reveal a staggering number of cases where so-called non-profits have been shown to not be as transparent as they claim. So for us, transparency and the constant mention of the “R” bead of authenticity is not only a tool for promoting buy-in from business, but also a promise we are making to consumers. Our brand means everything to us. We’ve taken a long time to build a trusted name, so we are determined to make sure that consumers know how to separate us out from others. Are there any expansion plans on the cards to take the concept further? Yes. In addition to signing up even more retail partners, corporate partners, and beneficiaries, as mentioned, we’re also expanding globally. In addition to entering the Australian marketplace, we’re looking to expand our existing footprint in the UK, and also enter the US market. Neil Robinson has worked in a number of different markets and industries, including investor relations, marketing, advertising, publishing, media, business consulting and corporate management. He has managed many blue chip global brands, from marketing and brand strategy to sales and operations. He developed a keen interest in corporate social investment over the years to the point of leaving the corporate world in order to pursue his interest in the viable and effective management of non-profits. He is currently the chief executive officer of Relate Bracelets, a 100% not-for-profit social enterprise. This article was first published on 14 April 2016 by Bizcommunity. Click here to see the original.